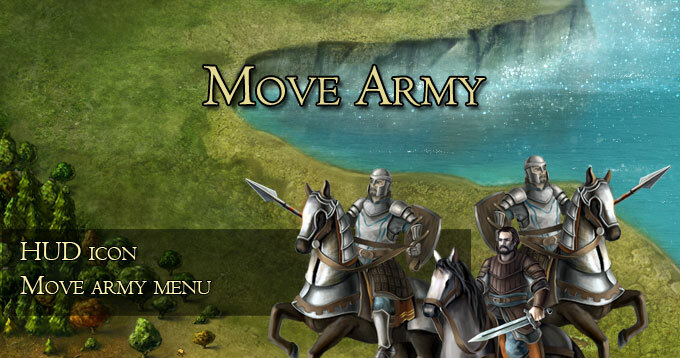 The easiest way open the move army menu is by clicking the button on the resource hud. 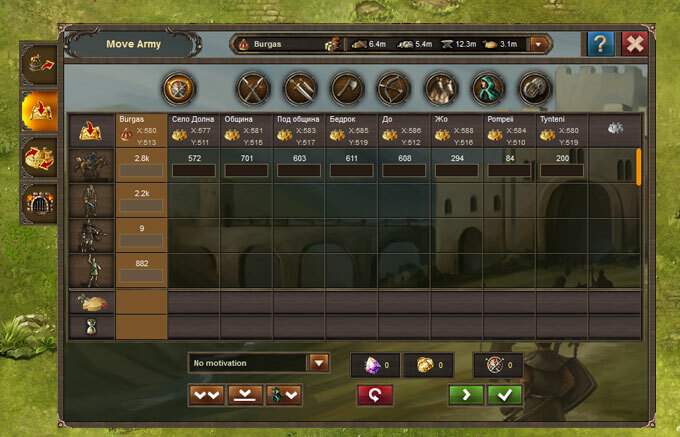 The send resource or army, military patrol and dungeon are arranged in tabs in this combined menu. 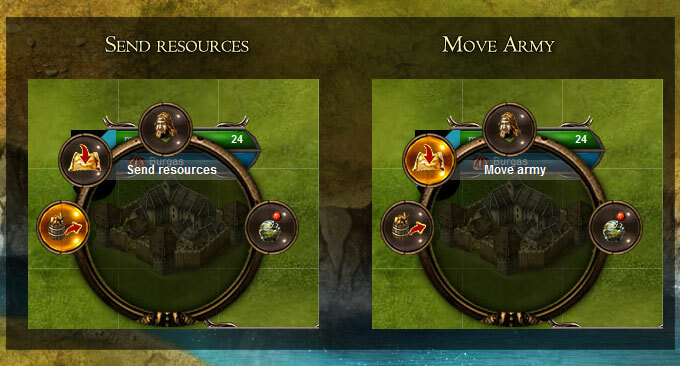 You can also choose a castle on the global map and send selected amount of army or resources to the location. The highlighted column shows the city you are sending units to. The type boxes there are inactive. Type in the desired type and amount of units that you want to send from another city. The options bellow allow you to send all units, all except the ones in dungeons or all spies.